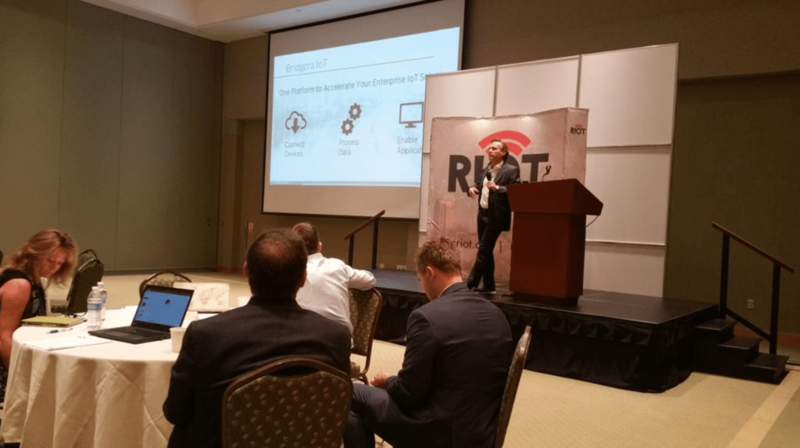 Bridgera, an IoT software-as-a-service company, was represented at a RIoT sponsored DoD security event by Ron Pascuzzi who introduced the topic of security and the Internet of Things. This one day workshop was designed to educate participants about the latest advances in the Internet of Things (IoT) technology stack coming from industry and academia. Military guests introduced the challenges in front of them as IoT transforms their operations. The attached Slideshare is an offshoot of Ron’s presentation that places IoT Security at a maturity level that we once experienced with the introduction of email and the internet. Yet hope is not lost, tactics are available today that can and should be leveraged to prevent bad things from happening with your IoT solution.